o you are saying that Q isn't just a WH insider but something not of this earth? And this galactic representative needs Q knights to make memes because just landing on the lawn of the WH would throw people into a panic so they have to be eased into it. A tinfoil hat wearer might say that you are just setting people up to believe/be tricked when project blue beam goes on-line. Maybe the deep state is beaming all this info into PE's heaad using voice-to-skull tech. I said if it would be, could it not making mistakes if it was someone not from earth. 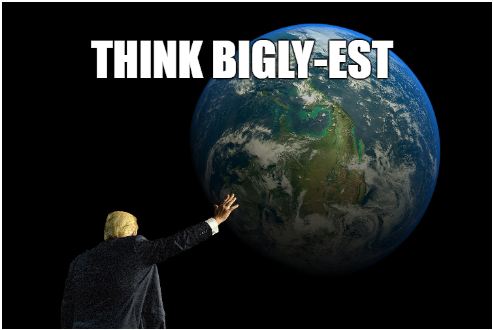 Trump want's to grab mother earth by the p---y? I had my little fun now play time is over. They are really easy to spot. Yes we are all disinfo agents sent by the deepstate or DS as you would know it. My honest question is why would someone or some group who was working to over throw all these powerful forces post their plans on the internet, even cryptically? One of the most powerful tools of war is secrecy. The CIA has some of the best crypogrophers in the world. Certainly if a bunch of average people could decipher the meaning the CIA could go the same. I'll have a dig in an hour or 2, O1, however I'm pretty sure that op was when the North Korean military command was "taken out", freeing Kim Jong Un to change to Mr Nice Guy and deal with Trump? See. you guys DO get it. Nice try. Too bad i stood in front of the vault on a different planet. I'm not hearing any voices btw. I don't care if you believe me or not in fact i stated many times just to ignore my drops if you're not interested but accusing me of being a deep state puppet is a new low even for you. I posted it as a possibility. Maybe they have better tech than voice-to-skull by now, like VR? I actually believe you are experiencing what you say you are but I don't believe the content. Still, that doesn't mean others can't see you're posts as stated in my post. Do you think the numbers represent something on the map?